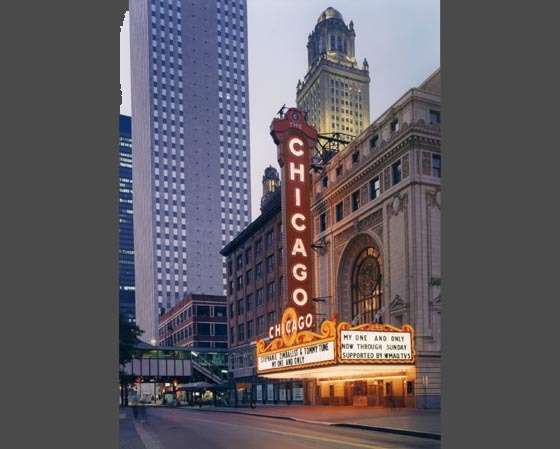 This Landmark former movie palace from the 1920’s is an historic symbol of the city and is often featured in Film, Television, and city Promotional Advertising. It was restored and adapted to create a venue for live entertainment and variety-type attractions. The 3800-seat theater project included a new Stage Floor, Theatrical Rigging, Lighting and Sound Systems; reconfiguration and refurbishment of Dressing Rooms; Seat, Carpet and Drapery Replacement, Artistic Restoration of plaster and artwork the addition of new technical positions, and the expansion and improvement of toilets and concessions. This award-winning project is the initial project in establishing Chicago’s new North Loop Theater & Entertainment District. COFFEY GROUP ARCHITECTURE, LLC* is working with the current ownership, Madison Square Garden Entertainment Group, to further upgrade the facility and allow it to present larger productions such as the Radio City Music Hall Christmas Show.